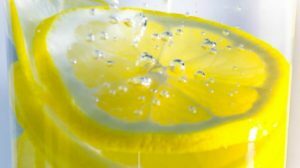 I told her that I received them from the company and she just blurted out – ‘I want some! This is my favorite yogurt from all of the yogurt we sell here! I’m going to contact the company to see if I can get some.’ I smiled and politely nodded at her, but I was excited to get home and try out Smari! What I do know now and wish I could have told her was there IS a buy one get one free coupon at the SmariOrganics.com website. Back to business! What is Smari and why is it so special? 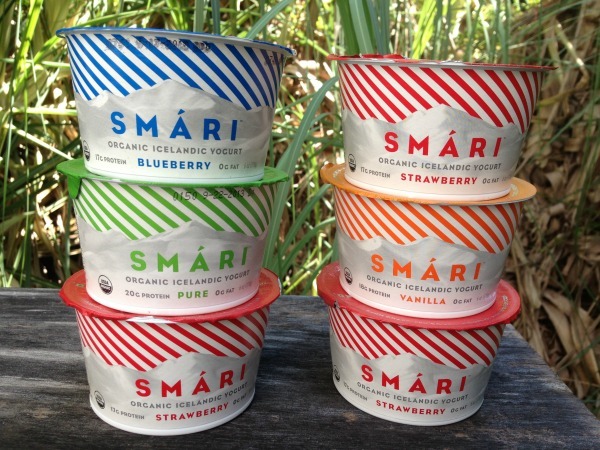 Smari is the signature thykk yogurt (skyr) of Iceland. The secret is in the cows. Using the right ones that produce richer, thicker, better tasting milk. Their cows don’t live in Iceland though. They’re in Wisconsin. Which can feel a lot like Iceland, especially in January. ha ha! That is on their website. You can actually meet their cows right on the site too! higher in protein (20g) per serving than any other yogurt in the U.S. I know you want to try it! It’s very creamy and thick. Yum! We’ve chatted about Happy Family many times on this blog and you know why – It’s not only super tasty, but sooooo convenient that you can’t help to always have some stocked in your pantry or fridge. Perfect for a quick and easy snack or stick in the bag to take in the car. Mess free. I know you mostly think of their products to be for the little ones, but their Happy Squeeze line is marketed towards everyone. Parents too! You see my whole family testing out the Superfood pouches awhile back. In fact, I’m going to save you some time (because I’ve looked everywhere!) and tell you that you will not find Happy Squeeze in the baby food aisle. They are found in the canned fruit aisle…at Walmart! Brand new on the market and made with only the best organic ingredients, Happy Squeeze Greek Yogurt pouches organic yogurt do not contain artificial colors or flavors, trans fats, GMOs and are certified USDA organic, gluten free and kosher. Comes in three varieties: Razzleberry; Super Strawberry and Peachy Keen. Each pouch is an excellent source of calcium and vitamin D, and contains two grams of protein. Of course they are a family favorite! Are you an organic yogurt family? I received these items for free for review and all opinions are my own. Links may be affiliate. We eat some organic foods but have not tried organic yogurt. I HAVE NEVER TRIED IT BUT HOPE I WIN SO I CAN. This sounds so good! I've been meaning to try this kind of yogurt. I love yogurt. Raspberry and Strawberry are my favorite flavors. THanks! I love strawberry yogurt and I can't get enough. That's pretty much the only kind though. I've mentioned before that I have a hard time with yogurt, but if it comes from WI cows I'll give it a shot! Maybe it's my neighbor's cows! I don't have a favorite yogurt, and I eat some organic. I love yogurt. Sometimes I organic! I love yogurt and I eat all flavours. I think my favourite is vanilla. 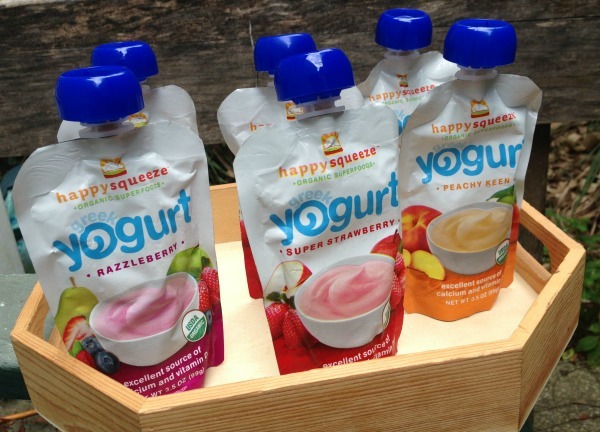 My son and I love yogurt so I would love to try these. They look yummy. I try and buy everything organic or gmo free. Our favorite is vanilla and yes we try to only eat organic dairy. The girls in the family are yogurt lovers....the guys no. I haven't heard of this brand but would love to try it. I just started eating a little bit organic. My favorite yogurt is Yoplait! Yes I eat yogurt and my fave is Stoneyfield organic! I love plain yogurt with vanilla stevia and fresh blueberries and granola. Prefer organic! My kids love plain greek yogurt topped with honey or strawberry jelly, I'm sure they would love this, too! I MUST try this yogurt oh my it sounds delightful!!! And I've always loved everything by Happy Family! I like any yogurt - organic or non-organic! I prefer the organic but it's so hard to find here and the ones you can find cost an arm and a leg! I try to eat organic when I can, but it can be tough on a budget! I like the Trader Joe's greek yogurt alright for everyday, but my favorite is definitely Fage. Though I recall trying Siggi's (also Icelandic yogurt) and loving it! I used to eat chobani greek yogurt. I try to eat more organic. I would love to try this organic yogurt out! I usually buy Yoplait and right now I am loving the Harvest Peach...but they do have alot of sugar content in them. I eat yogurt all the time, I love raspberry. I don't eat organic but would like to. I don't have a favorite brand but my favorite flavor is rasberry. we grow and harvest and can and freeze all our veggies and fruit and hunt deer! I eat a lot of yogurt. I probably choose most of the brands I eat, by what happens to be on sale. I like Yoplait a lot and with all their flavors in the Light version to choose from, it's great! Thanks for the giveaway! I don't have a favorite brand - I usually have Greek yogurt. we love stonyfield banilla yogurt! I love eating organic and I definitely do with my dairy! I love black berry flavor! I like dannon. I do eat organic fruits and veggies I have not tried anything else. I usually eat TIllamook yogurt, but would definitely try this! My nephew's toddler loves the squeeze pouches. My mum not so much. I'm thinking she and my four-legged [canine] baby just might really like the Icelandic yogurt if it's creamier.... neither has been bowled over by the Greek Yogurt unlike my sister who much prefers it. Thanks for the giveaway. 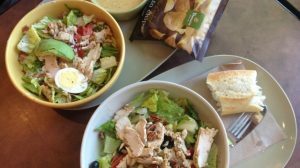 we like chobani or yopa greek yogurts right now, and of course we eat other foods that are organic including some yogurts, but we mix it up. Love Greek yogurt and try to eat organic lol. I love adding berries and wheat germ to Greek yogurt. I haven't tried too many yogurts but I like strawberry the best! The last greek yogurt I tried was gritty, maybe it was starting to go bad. For flavors I like the strawberry banana ones or the orange cream. I try to eat organic and love strawberry or peach yogurt. I don't have a fav yogurt but I am leaning more towards loving greek yogurt! I found happy squeeze at Big Lots for 50c each. Woo hoo! My favorite yogurt is Yoplait Greek Blended. I like Yoplait Whips too! I dont each much organic, too expensive in the stores in my area. I haven't tried organic, but it's not bad!